The mind is truly amazing, it never ceases to amaze me, and its influence on our health should not be overlooked. I just watched the finish of the Dubai Marathon and I think it would be safe to say that there wasn’t one participant that didn’t speed up when they saw the finish line. Forty (40) kilometers of running and in the last bit, the mind can make the body push harder. However, at the same time, the mind can also play some nasty tricks on our bodies. Numerous reports including one in the British Medical Journal reported that more heart attacks happen at 9 a.m. on Monday than any other day. One report went on to say that job dissatisfaction plays more of a role than any of the other risk factors. I bring this to your attention both to show you the power of the mind and because I believe the more you know about your nutritional choices, the more likely you are to succeed. 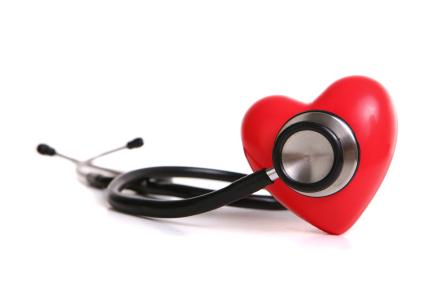 Heart disease was once thought to be a plumbing problem. Arteries clogged with cholesterol were the primary focus of heart disease management until a study determined that half of those suffering a heart attack had normal cholesterol. It was later discovered that elevated levels of C – reactive protein (CRP) was a better indicator of heart disease. A 1997 New England Journal of Medicine study found that middle-aged men with the highest CRP levels were three times as likely to suffer a heart attack in the next 6 years and CRP readings of 3.0 mg/L or higher triples you risk of heart disease. CRP is a marker for inflammation. So what is it we are doing to cause this inflammation that is leading us down the road toward heart disease? At the top of the list is stress. Not just the stress from our job or home life but also stress from the food we eat. Our body is required to do more work (stress) than it should have to in order to obtain nutrients for survival. Things such as carbonated beverages, refined sugar and flour, animal fat, caffeine, alcohol and preservatives cause stress on the body…they are void of nutrients and are actually toxic to the body. Inflammation is supposed to be a temporary process to assist recovery from an injury. However, if certain conditions are not met, the inflammatory process turns from temporary to permanent. So what should we do to stop the chronic inflammation cycle? Better food choices. I’m sure you’re all familiar with the “food pyramid” and if you’re like me you’re not sure how that thing works and how much of each you’re supposed to eat. So I made an easier to understand pyramid, at the top is organic fresh squeezed juice and at the very bottom would be the triple cheese burger fast food meal. You want to make it to the top of the corporate world and stay there a while you better start making food choices closer to the top of the pyramid. Unfortunately in today’s world the best food choices are not enough. We need to supplement. US Dept. of Agriculture studied 21,000 people and found that NOT ONE had the recommended daily allowances (RDAs) for any of ten nutrients needed for basic good health. This is an interesting study considering that more people are taking supplements today than at any other time. If more people are taking supplements, and supplements help with health…why is heart disease still #1? Why are we more obese than ever and why do we suffer more chronic disease at an earlier age? Vitamins are complexes that are made up of different components that work together to benefit health. Foods contain all the components found in vitamin complexes. Synthetic vitamins are only isolated portions of a vitamin that are typically manufactured in a laboratory. Look at the supplements you are taking currently. Are the vitamins listed as foods that you can recognize or are they listed as chemicals. Vitamin C for example should be from oranges or camu camu berries or acerola cherries not as ascorbic acid. Researchers from the Institute for Health Promotion and Disease Prevention studied 573 men and women; those who took vitamin C regularly – as ascorbic acid alone – developed an inner artery wall layer 2.5 times thicker than that of people who didn’t take synthetic supplements. HSC Weekly. Feb 25, 2000, vol 6, Issue 07. Zinc sulfate, iron sulfate or any mineral sulfate, oxide or carbonate must be broken apart and restructured to allow the minerals to be transported through the intestinal wall. Minerals in the amino acid chelated form require no restructuring and are easily transported through the intestinal wall. So look at your mineral supplements, are they listed as amino acid chelates or as an inorganic salt (oxide, carbonate or sulfate)? What’s the Most Important Supplement? The most important supplement you can take in general, but especially for heart health is an enzyme product. Enzymes are nutrients that help us digest our foods and if the right ones are taken and at the right times they can clean up the undigested food in our blood stream that can lead to chronic inflammation. The easiest way to get enzymes into our diet is to eat our food raw or uncooked. That being said, I don’t recommend that you eat raw meat, but every time you eat raw fruits or vegetables you are doing more for your heart health than you know. So, how does the busy corporate employee help combat heart disease by getting the nutrients needed to keep out of the chronic inflammation cycle? Supplement with plant based digestive enzymes and a good vitamin/mineral. Make better food choices based on the simple food pyramid. Drink plenty of water; hunger is often confused with thirst. Graze throughout the day; carry cut up fruit and veggies in your brief case. Make sure you start your day with a healthy breakfast; skip the coffee and the white flour and sugar filled pastry, your heart will love you for it.